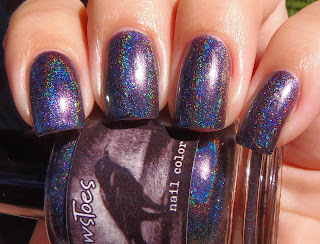 One Trick Pony is a relatively new CrowsToes, I got it in the Summer, but I really haven't worn it for a full day. 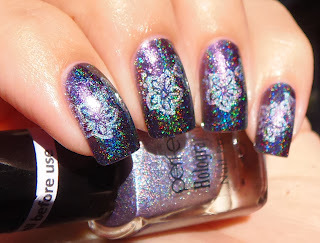 I was thinking it looked great with flowers, but this is a duochrome, and the color shift can be hidden by the stamped designs. 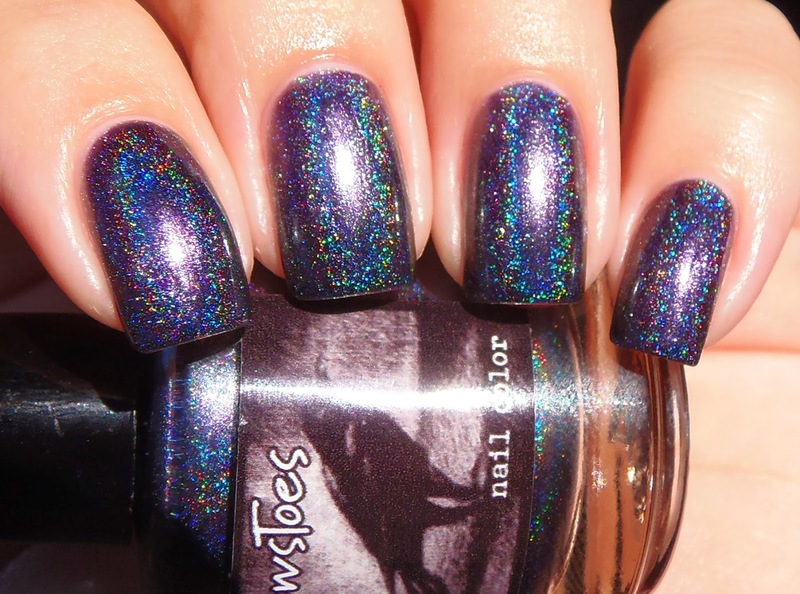 It is a very dark purple, with navy blue undertones and shifts to green, but at a very tilted angle. 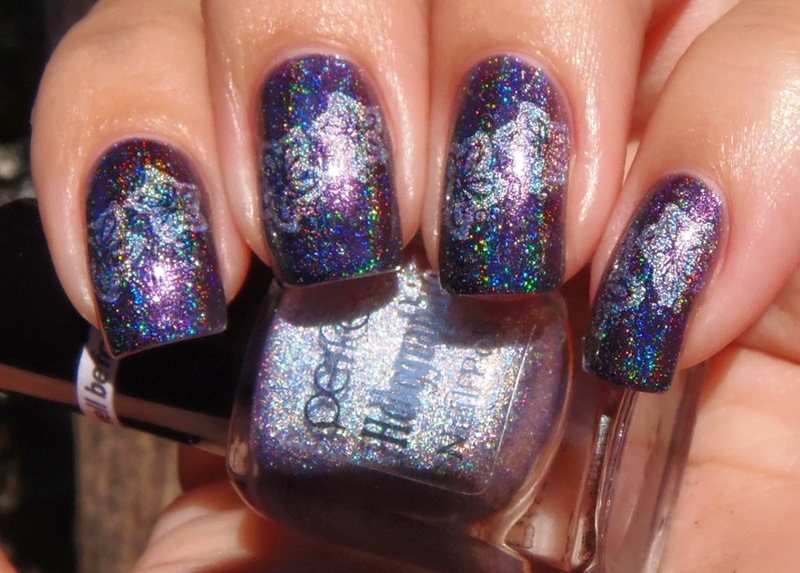 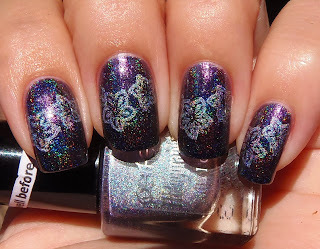 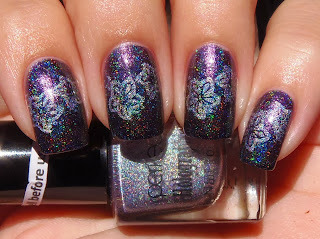 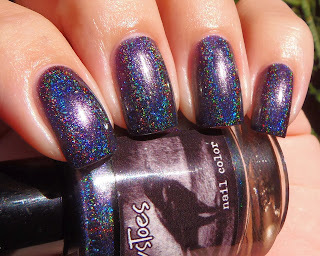 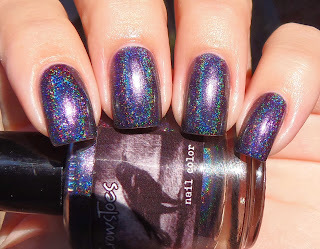 The formula is great and the holographic effect is good too for a dark holo. 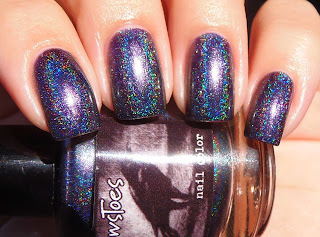 I hope you liked Dark Colors Week, we will go back to regular colorfulness on Monday. Have a great weekend!